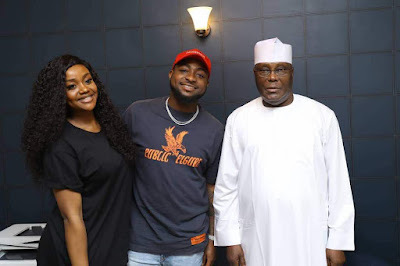 We all know the role Davido played while campaigning for his uncle in the last elections held in Osun, so this visit is not at all surprising. Plus he is a prominent youth and very loved music and entertainment figure, so PDP wold be stupid not to also tap into that. And Ohh well Davido hardly goes anywhere without his boo Chef Chioma.